Protect your indoor air quality with the help of Watkins Furnace Cleaning. 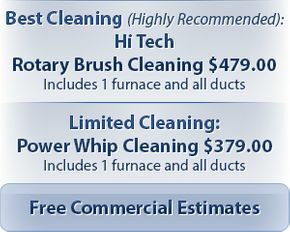 We provide residential, commercial, and industrial furnace and air duct cleaning. 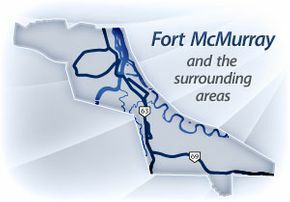 Serving Fort McMurray and the surrounding area, our technicians work on everything from dryer vents, to furnaces, air conditioning coils, rooftop units, and ductwork systems. Watkins’ experience and projects range from small homes to entire commercial complexes and industrial sites. Many of our clients are high-profile companies with strict requirements and finished-work inspections. When one of our customers hires us, our technicians immediately respond to provide solutions. Understanding and meeting your home’s or building’s needs are what sets us apart from the rest. Over the years dust, dirt, animal hair, mould, cold and flu viruses, and other contaminates can build up in your air ducts. Statistics have even shown that indoor air can be up to 5 times more polluted than outside air. In order to maintain your home’s air quality, Watkins recommends furnace and duct cleaning regularly. It is an essential part of your home’s continuous maintenance. Benefits of furnace and air duct cleanings include healthier breathing air and higher efficiency from your heating and cooling unit. Removing the dirt, dust, and grime from your air ducts means your family won’t have to breathe air contaminated by a host of allergens and germs. Cleaned air ducts also help air flow, keeping your furnace from being overworked. Dust-clogged air ducts can often lead to random hot and cold spots about your home or building. With a thorough cleaning, Watkins can ensure that you save on your energy bills while you keep your home’s air fresh. For more information on the benefits of air duct and furnace cleaning, visit our Frequently Asked Questions. You can also contact us directly to schedule an appointment. Learn more about how dirty HVAC systems can cause your energy bills to soar.